How to add embeded video in slideshow? To add embeded video in a slideshow simply click on video shortcode button, that can be found integrated in default editor panel in visual mode. See image below. 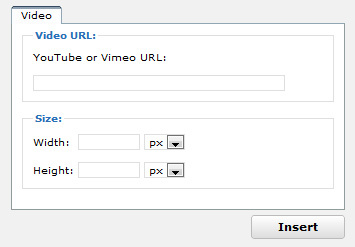 “Video URL” option allows you to insert a link to video that you want to add. “Size” option allows you to specify a dimensions of your video in pixels or percentages.